BUJUMBURA January 18th (ABP) – The National Assembly unanimously adopted in Bujumbura on Wednesday a bill setting the political capital in Gitega (central Burundi) and the economic capital in Bujumbura (west). Of 109 votes of MPs present and those who sent proxies, 108 voted for and one vote was against, a check on the site by ABP has revealed. Currently, the capital of Burundi, which plays the role of political capital and economic capital at the same time, is located in Bujumbura (western Burundi) next to Lake Tanganyika, on the border with the Democratic Republic of Congo. The various Constitutions of the country stipulated that the capital of the country is fixed in Bujumbura but that it can be transferred to any other place of the Republic (Article 4 of the Constitution of November 20, 1981 and Article 5 of the Constitution of March 18, 2005). The Constitution promulgated on June 7, 2018 stipulates in article 9 that “the capital of Burundi is fixed in Bujumbura. The law can transfer it to any other place of the Republic or separate the political capital from the economic capital”.The Minister of the Interior, Patriotic Education and Local Development, Mr. Pascal Barandagiye, explained, in the explanatory memorandum, that the project of transfer of the political capital of Burundi towards the headquarters of Gitega province (central Burundi) is of paramount importance. According to him, this is the realization of the will of the political authorities since Burundi’s independence on 1st July 1962. The project of separating the two capitals has been motivated by the desire to bring administration closer to the citizens since Gitega is located in central Burundi. This reduces the distances traveled by those who live in the farthest corners for the purpose of accessing public services in Bujumbura. In addition, the political authorities realized that it is not good to base the country’s strategic, political and military interests in one place because there is a risk of recording too many losses in case of disaster in that place. 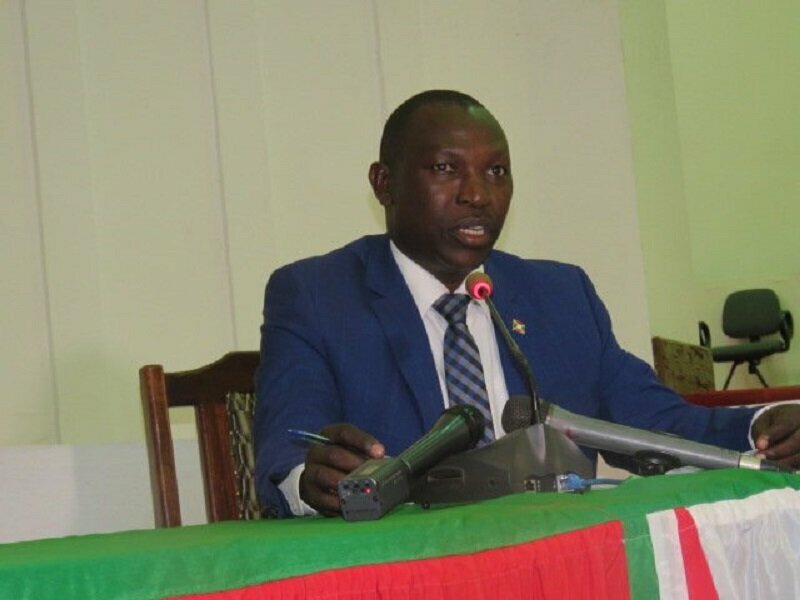 This separation of the two capitals also allows a decentralization of the Bujumbura City which is exposed to rural exodus, unemployment and crime and where many people live on the street, said Minister Barandagiye. The Speaker of the National Assembly, Mr. Pascal Nyabenda, said that the MPs adhere to that project. However, he asked that the implementation of that decision be progressive so that they do not jostle people. 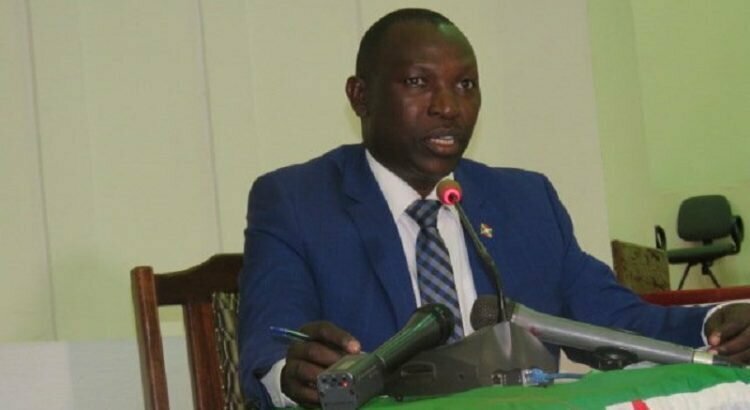 Minister Barandagiye said that the town center of Gitega is full of administrative buildings and other state-owned buildings that can house some services that will move to Gitega. He said that the necessary means for the immediate move of five ministries (of the interior, agriculture and livestock, education, planning and good governance) are available. The government plans to complete the implementation of that measure in three years. Regarding the concern of some MPs who believe that the move of the workers who lived in Bujumbura will destabilize households economically given the low salaries of State officials, Minister Barandagiye said that State officials can carry out their duties in any region of the country and that he himself worked in several provinces of the country, stating that Gitega is located only at 100 km from Bujumbura. This means that civil servants will not have any travel difficulties, especially as carriers have begun to organize themselves to meet that demand.